Most CPA’s seem to start with the assumption that a business owner should know how to read a financial statement. I’ve worked with enough business owners to understand that most of the time this means nothing to them. Financial statements can seem foreign to a business owner…especially because at the end of the day they are most worried about cash and cash flow. And unfortunately, the financial statements are not going to give you much information about your cash flow (yes, even the cash flow statement is confusing at best). 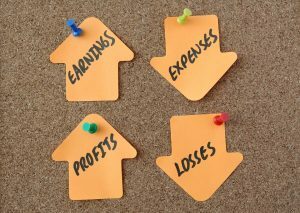 So, one way to review your monthly financial statements to look for possible errors or issues in the business is to look at a trending profit & loss and trending balance sheet. Increasing trends – is revenue increasing? Are specific expenses rising more than others? Should they be? Decreasing trends – is revenue decreasing? Are specific expenses decreasing? Should they be? Spikes – do revenue or specific expenses spike in one particular month? What caused it? Missing amounts – is an expense missing in one month? For example, if you have a $2,500 rent expense each month and all the sudden it’s not in one month, something is probably not right. The first couple times you do it, sit down with your CPA or accountant so you can ask questions until you become more and more comfortable with it. By getting in the habit of reviewing trends like this each month you will start to become more familiar with financial statements, and you will also potentially uncover errors or areas for improvement.